Irrigation is essential if you want to yield vegetables in your garden the next year. Regardless if you are still a novice or already a pro in gardening, having a garden hose is crucial. Now that you are going to buy one, allow us to help you choose the right garden hose for you. We’ve searched the market and created a list of the top 10 best garden hoses to buy. The following are the most innovative, easy-to-use, and durable garden hoses that can make your gardening work much easier and faster. Gardena is a reputable manufacturer when it comes to gardening tools, and our first product to review is not an exception. 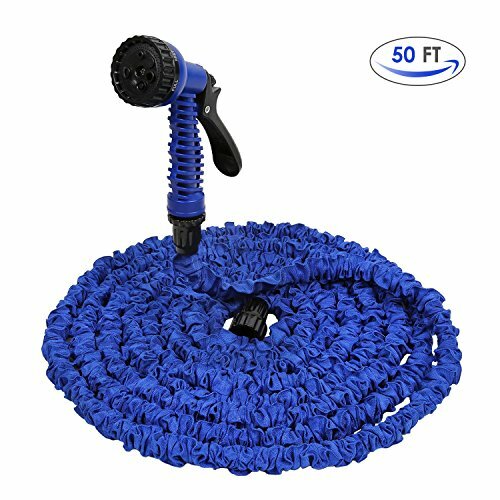 This garden hose is easy to use. With just one pull from the hose, you can release the lock and draw the hose from the box without cranking in the process. It also features a built-in steel spring that can provide you with an even and powerful retraction. 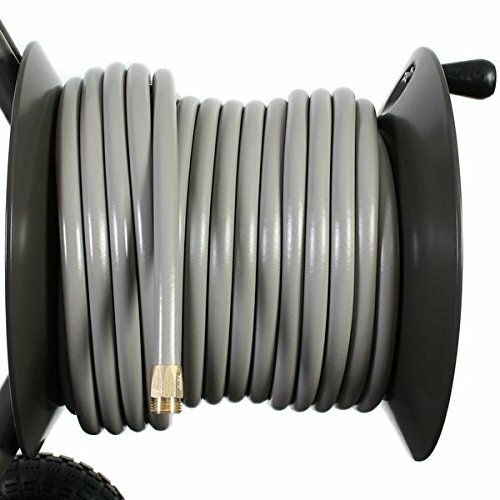 The integrated hose guide will also help you to prevent twisting and tangling of the hose—one of the common problems or gardeners nowadays. It also includes a hose bracket that will allow you to mount the hose at the wall. The nozzles, sprayers, and wash brushes can be stored inside the wall bracket for added convenience. During winter, you can take the hose box by its ergonomically-shaped handle and remove it from the wall to avoid defrosting the hose in the process. Next, we have the Gilmour garden house. 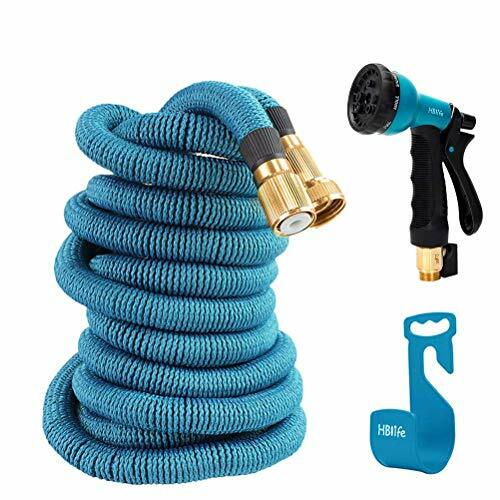 If you are looking for a garden hose that can hold the highest pressure even on the hottest day of summer, this is the hose that you are looking for. We also like how its polished surface can resist the abrasions, stains, and mildew in the long run. This hose also has maximum kink resistance. It’s heavy-duty and crush resistant, the perfect garden hose for every day rugged use. The full-flo brass couplings with integrated washer for tight sealing will ensure that you will never encounter water leaks in the long run. If you want to experience ultimate quality and value for garden tools without breaking your bank, you might want to try this product. With proper use and maintenance, rest assured that this garden hose can last for a long time. Perhaps you are looking for a garden hose that’s drinking water safe? You might want to check out the Eley polyurethane garden hose. It’s full flow and resistant to crush. We like how its brass fittings are lead-free to assure the safety of your family in case you are planning to use it for drinking water. This hose is also kink-resistant. Now you can enjoy quality hose without breaking your bank. The Eley hose is at the same price range of the aforementioned products we have reviewed. Despite its lightweight, it can still perform heavy-duty work in the garden. This handy feature also makes it comfortable to use for extended period of hours. Buyers can enjoy up to 10-year limited warranty upon purchasing the product. For high quality and value, check out the HB life expandable garden hose. The package includes a garden water hose with eight spray pattern nozzle, hose hanger, and storage bag. 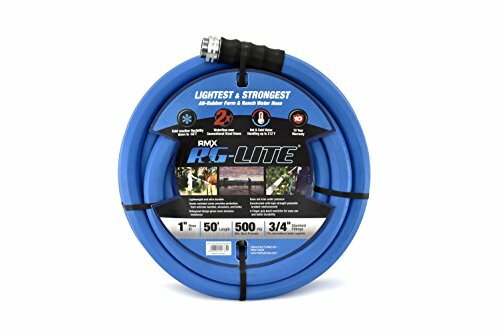 This light blue garden hose does not only look chic but can also perform well to help you with your daily garden works. All metal connectors are resistant to rust and corrosion. 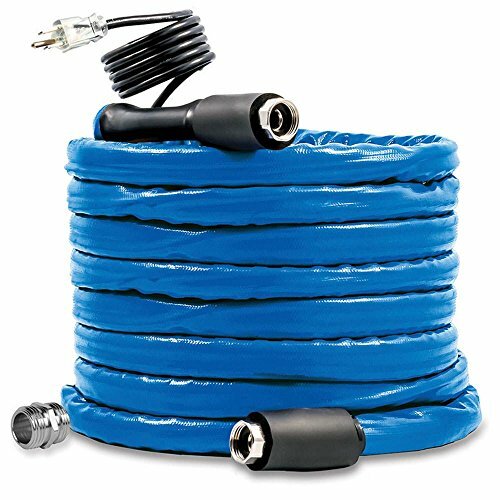 This expandable garden hose can also withstand high and low temperature. You can expand it up to three times of its original length. It’s lightweight and rest assured that it will never kink, twist, or tangle while you are using it. Now you can carry it anywhere with you, giving more flexibility as you work. It also has a compact size for secure and better storage, ideal for those who have limited space in their garage. 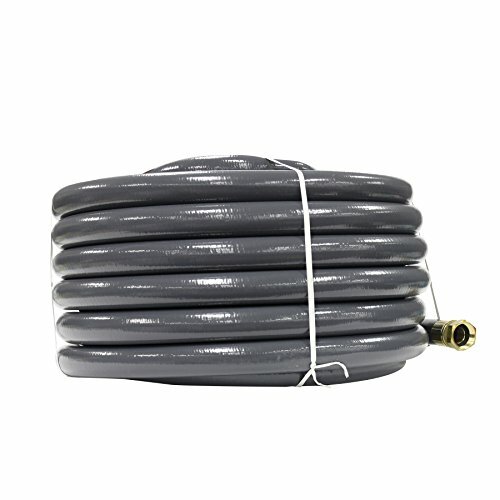 For workshop, garden, car-washing, or even pool work, this is the ideal hose for you. Looking for a more expandable garden hose? 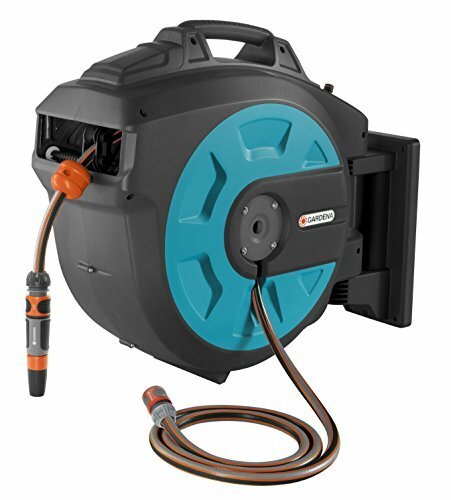 Introducing the Amzdeal expandable garden hose that offers optimal flexibility. When water flow enters the hose, it can expand from 16 to 50 feet. And when the water is released from the hose, it will automatically shrink back to its original size. In that way, you can store it conveniently. It also features seven pattern spray settings: center, flat, cone, jet, full, mist, and shower. It also comes with a nozzle. The aforementioned modes are perfect for watering the plants, washing the car, cleaning the pool, or doing your usual garden work. You can also adjust and control the water pressure and flow rate thanks to its flow control knob. All you have to do is twist the knob to get the desired water pressure and change the spray from a high-powered jet to a gentle shower. The AG-lite water hose is perfect for those who are looking for a heavy-duty hose for rugged use. It’s 30% lighter compared to standard garden hoses, and it’s made of still rubber. 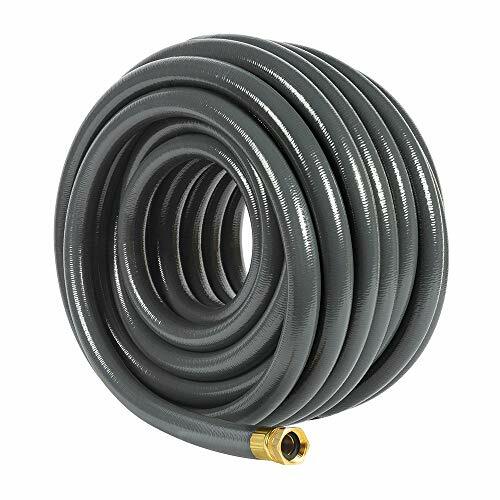 This hose is a professional grade next-generation that is built to last for a long time. If you are tired of cracking PVC hoses and heavy rubber shoes, this hose is the one that you are looking for! It’s strong for industry use, and its durable construction can withstand the even harsh weather. 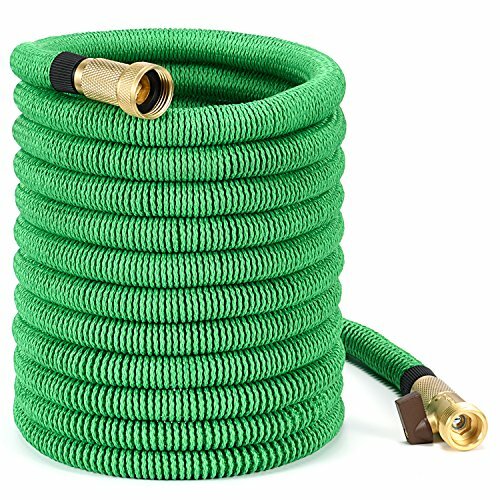 This hose is ideal to use for outdoor purposes. It also uses the exact technology with BluBird air hoses—one of the leading and revolutionary rubber hose package. For both hot and cold water, rest assured that this hose can help you to complete your work faster and easier. Buyers can enjoy up to 10-year replacement warranty upon purchasing the product. The Camco drinking water hose is ideal for water line freeze protection. Thanks to its self-regulating heat source that will keep the water flowing without overheating or the requirement for a thermostat or temperature control, you can make the most out of this product. It is made of lead and BPA-free materials that can last for a long time and ensure the safety of your family. The NSF-61 certified hose is drinking water safe that can also match female hose fittings. In that way, you can use this hose to power from RV or campground power source. Its heavy-duty heat drink provides relief on both ends of the hose. This hose can operate on 120VAC/ 4.5 AMPs. 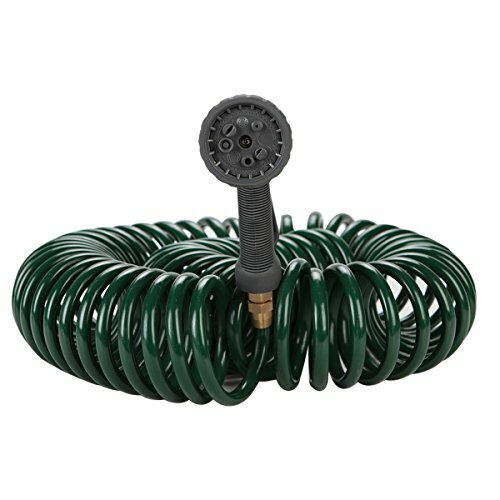 If your livelihood depends on your gardening, you should consider this expandable garden hose from Vita Guardian. It can expand up to three times of its original length and will automatically retract to its standard size afterward. In that way, you can store it with ease. This expandable and retractable water hose provides optimal flexibility. Its original length is 25 feet and can expand up to 75 feet when you’re using it. We also like its strong durability and lengthy lifespan thanks to its double-layer design. The outer layer of the hose is made of high-quality 5000D polyester. The inner part is made of natural latex that can resist high water pressure. The solid brass fittings are resistant to rust and corrosion. 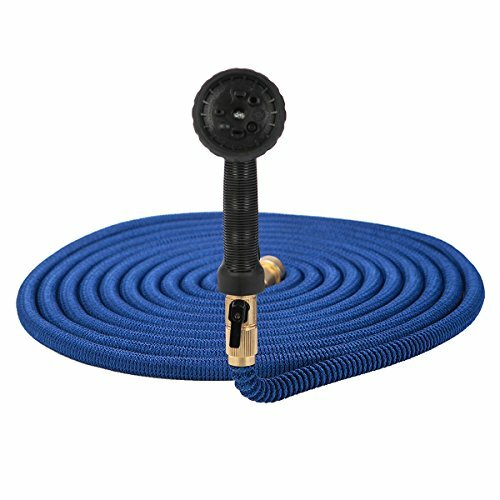 Perfect for a car wash, plant watering, or farm irrigation, this hose can last for a long time with proper use and maintenance. 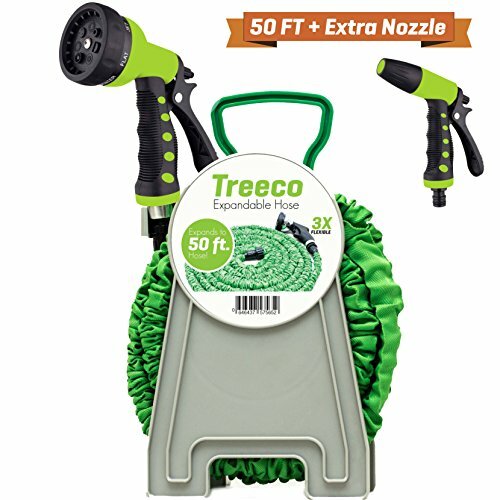 The all-new Treeco expandable garden water hose can expand to 50 feet. Compared to traditional hoses, it is smaller for convenient storage of the product when not in use. But its expanding capabilities of 50 feet makes it ideal for farm irrigation and gardening duties. Lightweight and portable, you can carry this hose almost anywhere you want. It also features bonus two multipurpose nozzles and shut off valve. In that way, you’ll be able to cover every inch of your garden with a spray gun or perform professional car washing with its higher water pressure. Save your time from tangling and twisting with this product. It’s easy to use, store, and maintain. The three-layer latex construction is built to last, ideal for rugged use on a daily basis. It also reduces the cases of water leaks and bursts. Lastly, we have the 50-feet garden hose water from Aolo show. The unique design of this hose allows you to achieve optimal control and flexibility when using the product while doing your errands. The EVA material hose is resistant to harsh UV rays from the sun. The package includes brass connectors and a spray nozzle. You can start the length from two feet and expand it up to 50 feet depending on what your work demands. Rest assured that the spring hose will never tangle or kink in the process. We like the ultimate recoil memory that makes it easier to handle and store compared to other products. You can choose among eight different spray patterns including soaker, flat, cone, angle, mist, full, shower, and center. All brass connectors of this product are resistant to rust and corrosion. It is safe to say that this garden hose is indeed built to last.